Printing Fibonacci Series In Java or writing a program to generate Fibonacci number is one of the interesting coding problem, used to teach college kids recursion, an important concept where function calls itself. It is also used a lot as coding problems while interviewing graduate programmers, as it presents lots of interesting follow-up questions as well. In Fibonacci series, next number is equal to sum of previous two numbers. First two numbers of series are always 1 and 1, third number becomes 1 + 1 = 2, subsequently fourth number becomes 2 + 1 = 3. 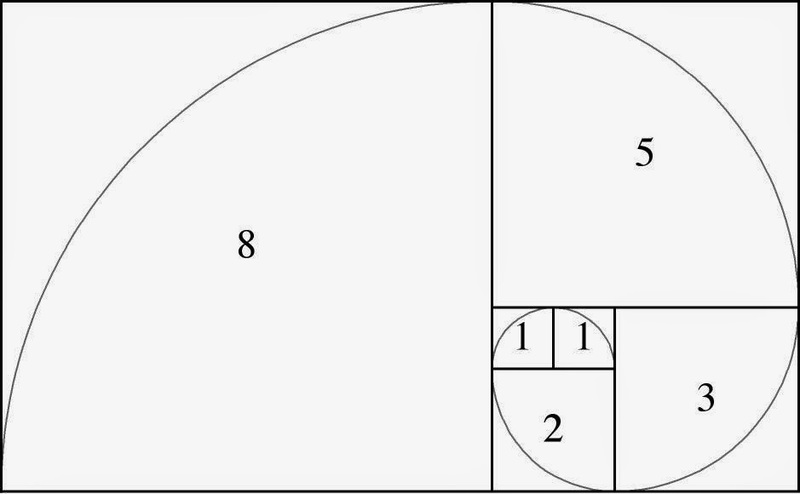 So a Fibonacci series looks like 1, 1, 2, 3, 5, 8, 11, 19 and so on, as shown in the image as well. This problem is quite easy to solve by using recursion and a greater example that how recursion can simply solution in some cases e.g. linked list and binary tree, where part behaves like whole. For example, when you remove a node from linked list, its another list, similarly if you take a part of tree, is another tree, which means same algorithm can be applied to them. Any way, If you get this question on interview, you are more likely to come up with recursive version first, as it's natural. Interviewer will now ask you to generate Fibonacci series without recursion. Which means you have to come up with Iterative solution using loops. You can also clarify whether additional data structure is allowed or not, as many recursive solution can be converted into iterative one by using Stack data structure. In this case, probably you don't need it. In a recursive algorithm there are two parts, one in which function calls itself and on other where it return something, this is called base case, without this your program will never terminate and die with stackoverflow error. When you solve a problem with recursion, you must first think about the base case. In case of Fibonacci series, the best case if 1st two numbers. Here is the recursive solution of generating Fibonacci number, which can be used to print Fibonacci series. You can see that if n = 1 or n = 2 then our function return 1, otherwise it call itself to generate a new Fibonacci number which is sum of previous two. Now, let's see how we can print Fibonacci series without using recursion. You can see that the logic is not very different than what we have used in recursive version, but this time we have used for loop. Here is the geometric image you get, when you draw Fibonacci series. Here is the complete sample code of printing Fibonacci series in Java by using recursion or for loop. As an exercise, can you write some JUnit test case for this program and it's methods. * Fibonacci series in Java of a given number Recursion. That's all about how to print Fibonacci Series in Java with and without using recursion. You can further improve this solution by using a technique called memoization, which stores already calculated number in a cache in order to avoid calculating them again. This saves lot of processing time in cost of small memory, and particularly useful while calculating large Fibonacci number. I would suggest to try yourself first to come up a Fibonacci Series with memoization, but you can always refer to my solution. @Angy, where exactly is the typo? I see Fibonacci series is correctly printed i.e. as you have suggested 1, 1, 2, 3, 5, 8 ..
Where to write print statement ? I am running same program but no output on console. HELLO, I THINK RECURSION FOR AVOIDING LOOP IN PROGRAM. BUT I CAN SEE THERE IS A LOOP IN YOUR PRG IS THIS RIGHT? how to print fibonacci series using methods and arrays.? plz help me with code..